Providing shelter and feeding hay to your horses on time. 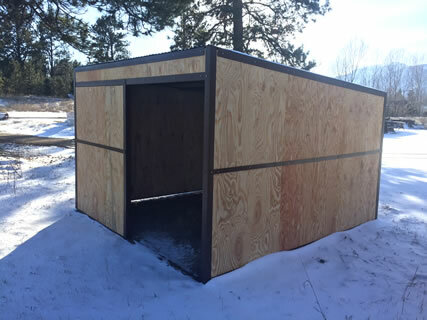 DIY Horse shed kit, a three-sided building that offers protection for your horses. The steel frame is shipped predrilled with all the bolts and hardware ready for assembly. 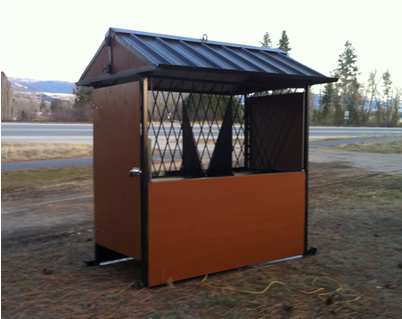 Horse feeders doors automatically slide open and closed at your preset hay feeding times! 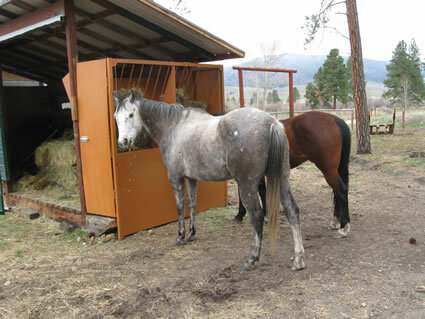 Horses and ponies need shelter that is clean, dry, and protected from the weather. 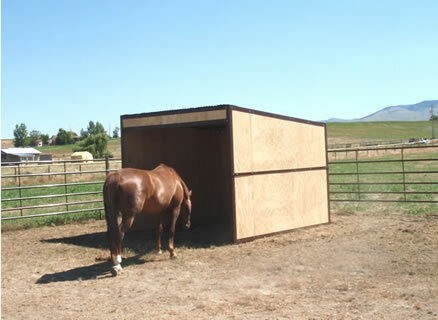 We offer complete shelters from wind and weather with easy to set up horse loafing sheds. A run-in shed with a low building cost can be a helpful investment to nearly any property. 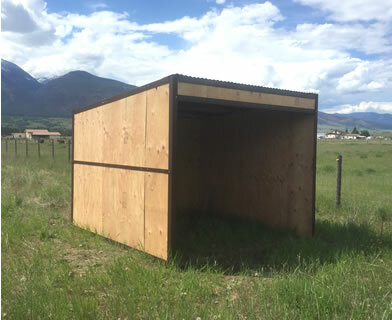 The whole idea of run in sheds is that they not only offer shelter but, at the same time, offer a healthier option than traditional barns, being better ventilated and thus avoiding the accumulation of dust, mold and spores. Giving the horse the freedom to come and go as it wishes has a psychological benefit as well. 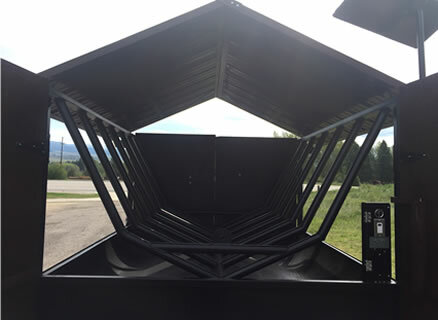 Can be anchored to the ground or made to be portable on skids. Click here for more information on the shed kits. Our timed feeders are reliable enough that you can go away for the weekend without worrying about your horses being fed. Now you can automatically feed hay to your horses exactly at their feeding times every day without even being there. The heavy duty construction insures a long lasting trouble free operation for years to come. Available for small bales, round hay bales, or Large squares. Load the hay rack a couple of times a week and forget it. The preset times you set on the timer assure that your horses will be fed their correct ration on time every time, and at the feeding duration you select. Reduce your work load related to feeding horses. Save up to 30% on the cost by cutting back on wasted hay. Also greatly reduce the chances of colic due to overeating. Watch the automatic horse feeders in action on video. There is a full length door on each side allowing horses access to the hay trough. When the pre-set time is reached a electric winch lowers the doors and the horses start to eat. When the second pre-set time is reached the door winch slowly raises the doors, stopping the animals access to the feed trough. This is controlled by a electric timer which can be programmed to do this as many as 10 times a day. The automated winch is powered by a 12 volt car battery. To keep the battery charged, a 15 watt solar panel does the job perfectly. The solar panel allows operation of the feeder several times a day with no loss of power or need for other types of battery charging.